Just who are these new fat ladies? I wanted to bake these holidays because it’s really fun. I baked with my mum. 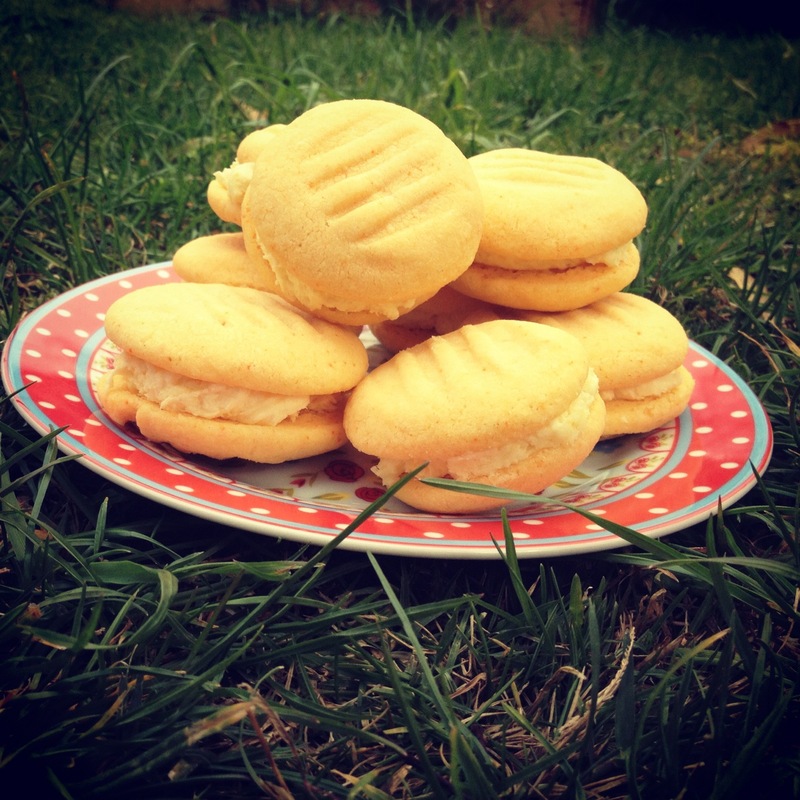 I love melting moments but I don’t want to marry them. But that’s why I chose them to bake. 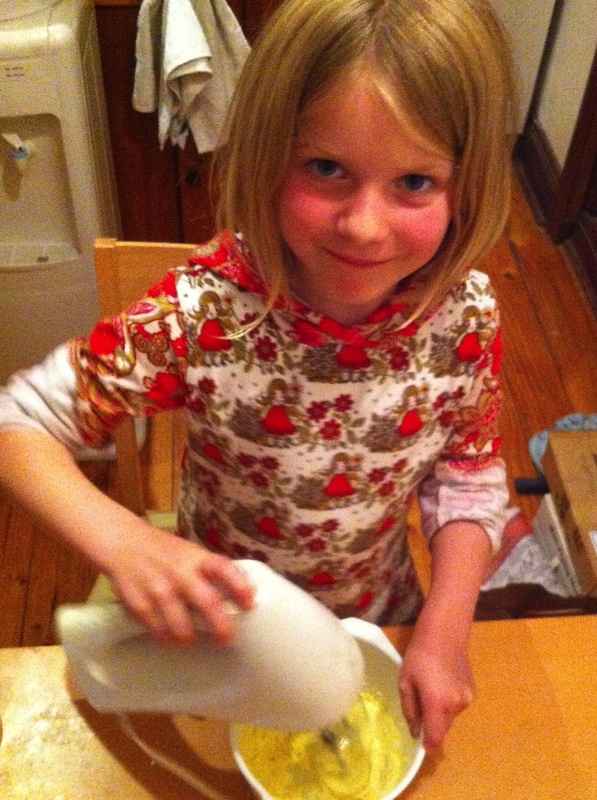 First we softened the butter. We blended (Ed. : creamed!) the butter with electric beaters until it was pale. Then I used the scale and I weighed the flour, icing sugar and custard powder. Then mum gave me a wooden spoon and I mixed them with the butter. It was easy at first and then it was hard! Will you look at how adorable she is? Also, those clothes? HER MUM MAKES THEM. AMAZING. We rolled bits of the mixture into balls, and then after we rolled them and made sure they were round, we squished them with a fork. 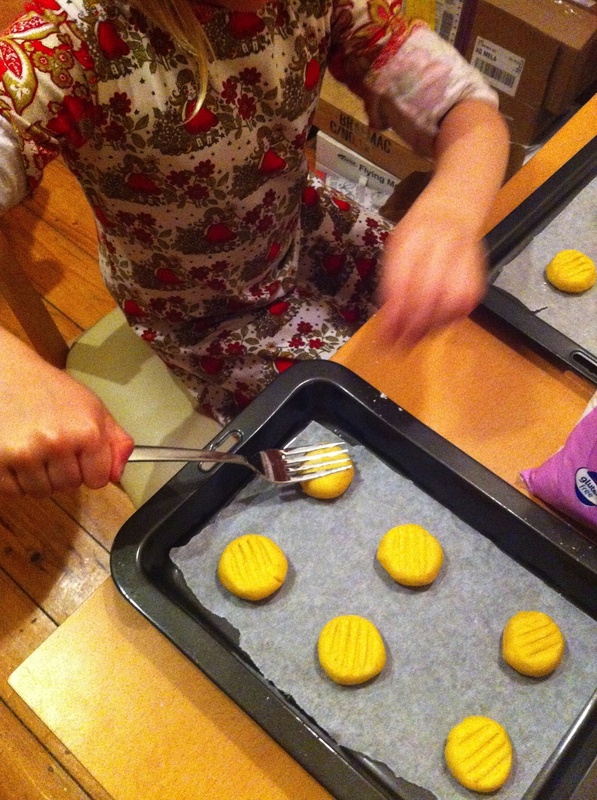 Then we put them in the oven and then we made the icing. Then I had to go to bed, so Mummy put them together. The bits I liked best about making them was rolling them into balls, and tasting the icing! We shared them with Essie and Sajee and Robin, and I think they liked them. They were one of the yummiest things in the whole wide world, along with mudcake, choc chip cookies, chicken satay and fishcakes. Tell your grownup helper to preheat the oven to 160°C. Line 2 oven trays with baking paper. Beat butter until pale and creamy. Add the flour, icing sugar and custard powder and use a wooden spoon to stir it all together. Use your (really clean!) hands to roll the dough mixture into small balls. Place the balls 3cm apart on the lined trays. Use a fork dusted in icing sugar to gently flatten. Get your grownup to put the trays in the oven, swapping trays halfway through cooking, for 15 minutes or until just cooked through. Remove from oven (grownup again, sorry!) and set aside for 30 minutes to cool. Icing: Beat the butter and icing sugar in a bowl until light and fluffy. Add the lemon rind and juice and beat until combined. Spread icing on half the biscuits and sandwich together with remaining biscuits. Things we are making and things we are eating . . .